Steel Core Designs had on display one of their latest additions to their precision rifle product line, the Hurricane SF, based off of their Hurricane Hunter/Varmint rifles. 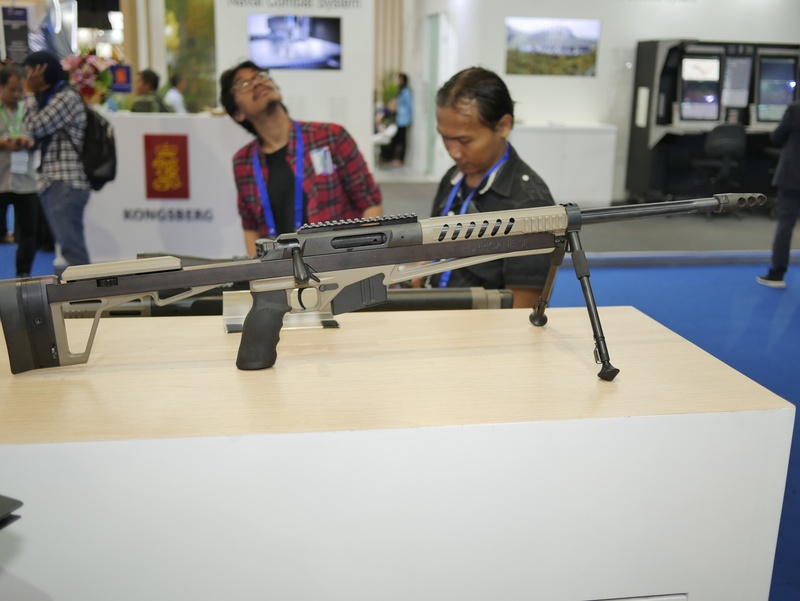 The rifle is intended to be their short action variant, while the Thunderbolt rifle is their long action chambered in .338 Lapua, and the Cyclone being the anti-materiel rifle variant chambered in .50 BMG. All of their rifles are minimalist and simplistic in nature, constructed out of a solid metal chassis with Picatinny rail segments for the attachment of optics and laser designators. Their rifles use a 4-lug bolt that is simply scaled up or down for use in the different calibers offered for the Hurricane, Thunderbolt, and Cyclone rifles. One design feature of the bolt is that the ejector does not incorporate a spring in it, being actuated by a pin in the receiver as the bolt completes its rearward travel. This allows a shooter to slowly work the bolt, allowing the empty shell to drop out of the rifle’s ejection port, or if the bolt is rapidly racked, the ejector will kick the shell out quickly.